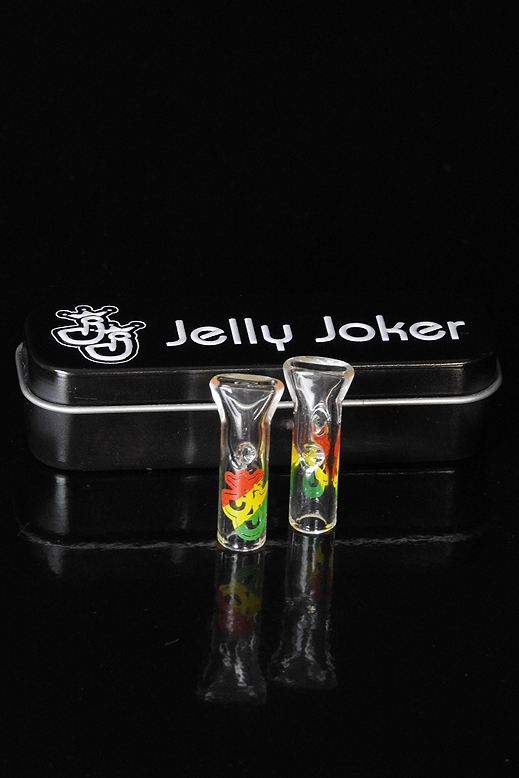 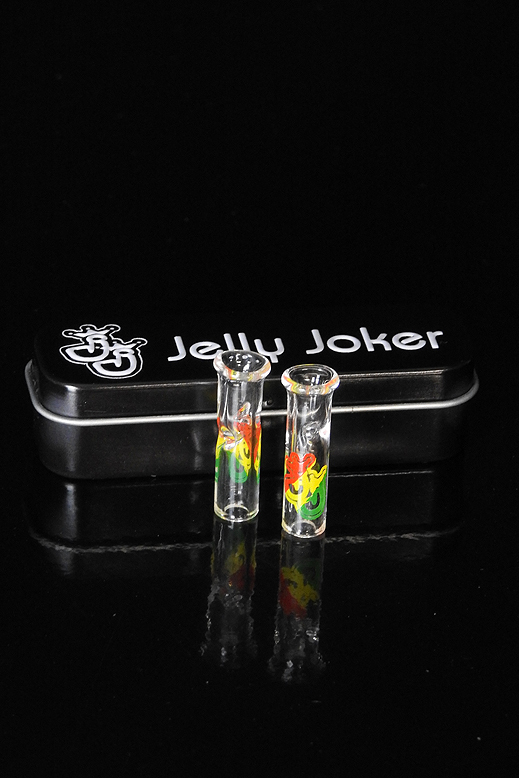 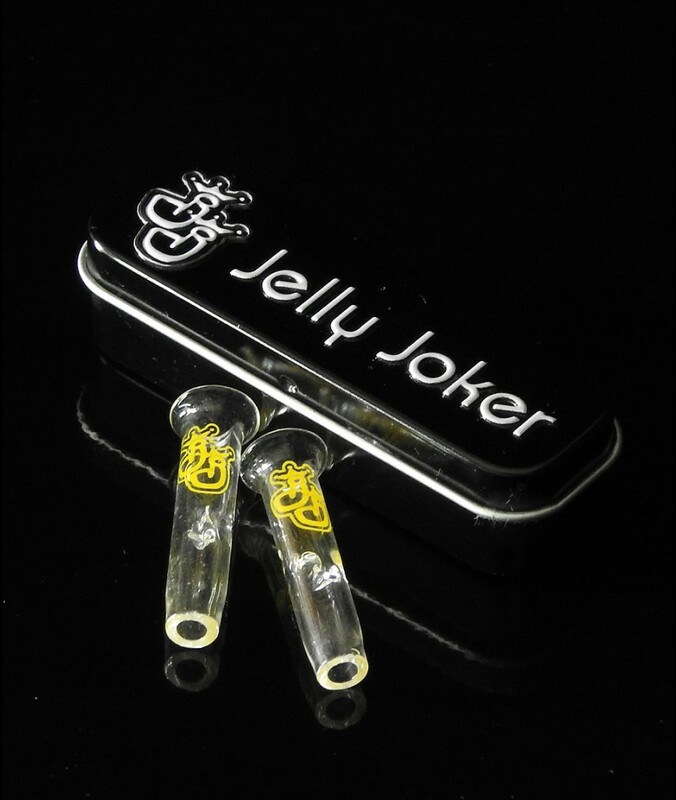 Glass tips for rolling in. 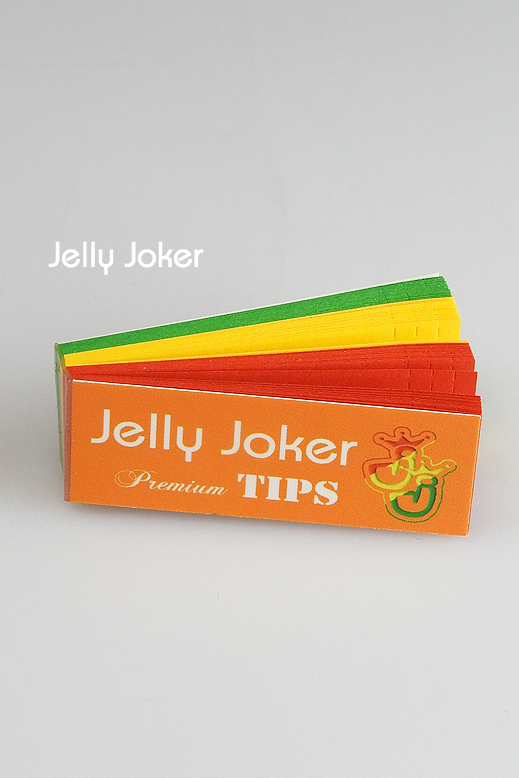 2 pieces in a beautiful JJ tin box. 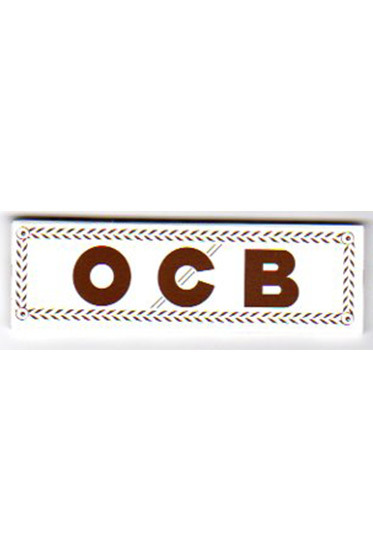 About 4cm long and 0.6cm thick. 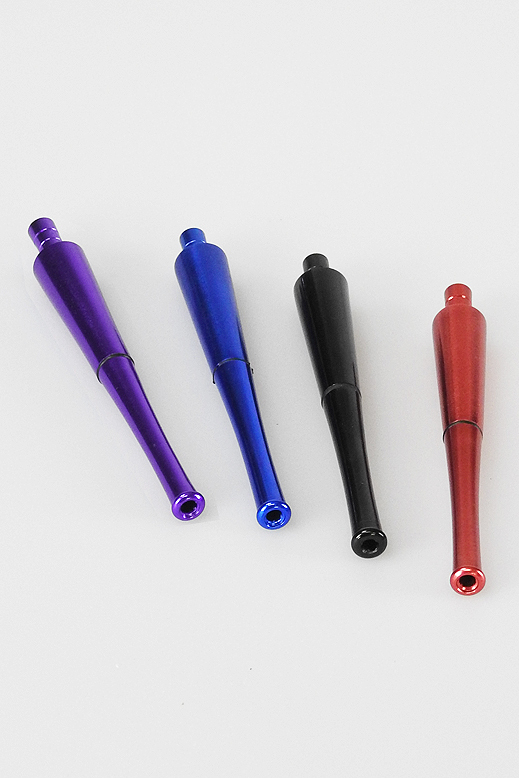 Spliff stick with extended smoke path made of aluminium in four different colours. 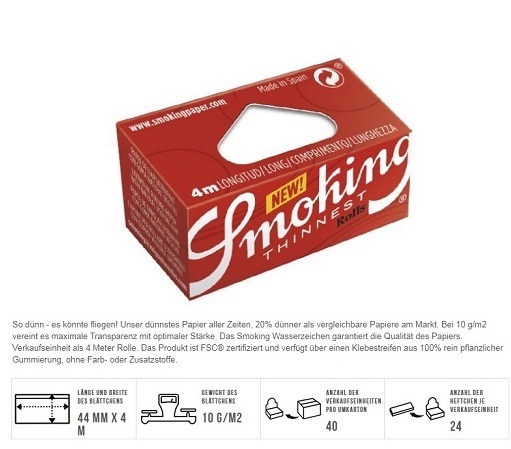 Length without screw-in piece 10.3cm. 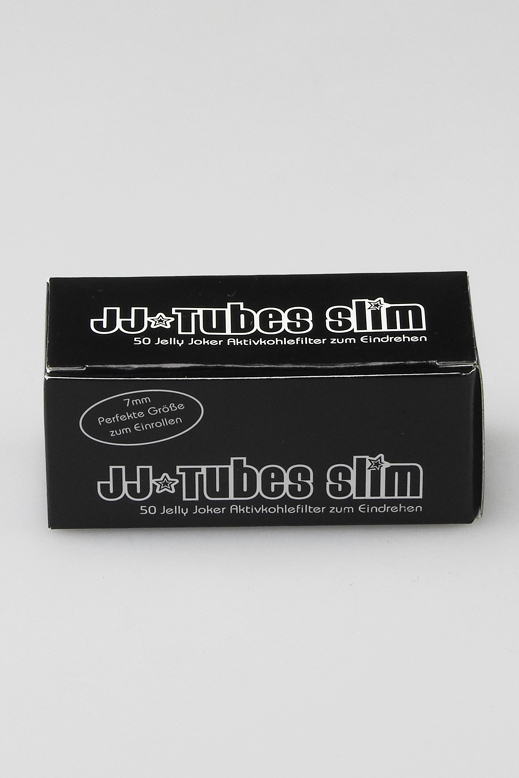 Very well processed glass mouthpiece for slim activated carbon filter. 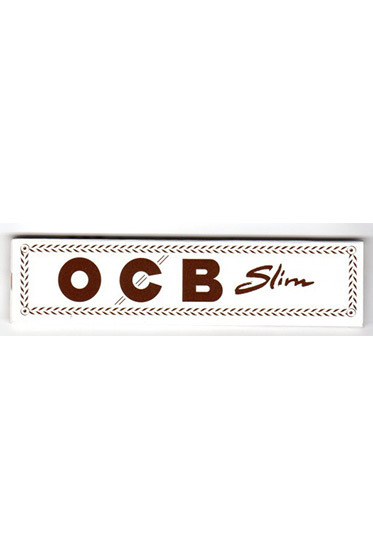 About 5 cm long and 1 cm thick. 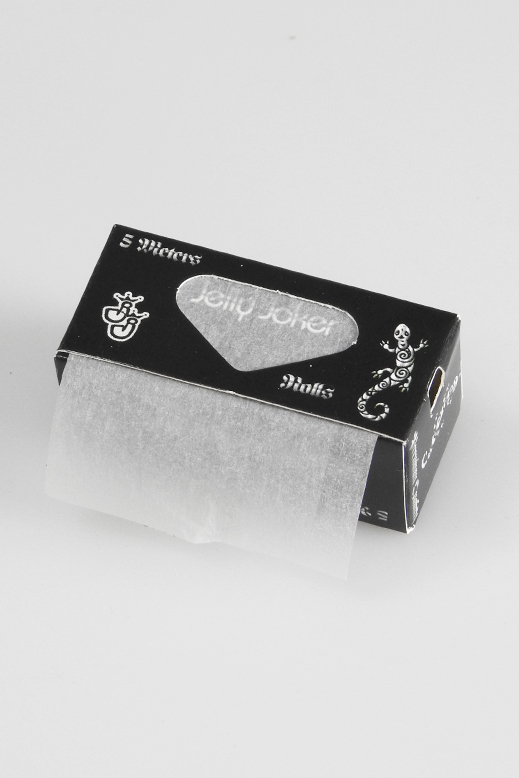 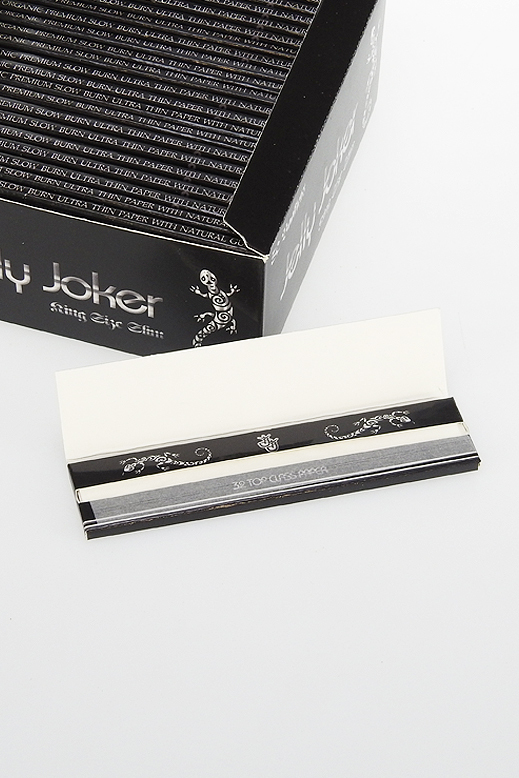 The mouthpiece is delivered in a decorative and practical JJ tin box to flip open. 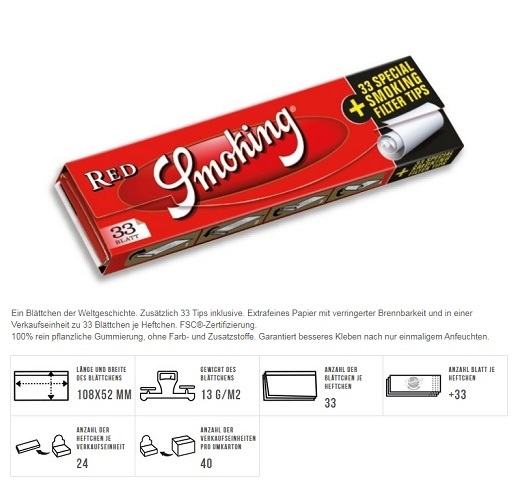 Including 33 tips. 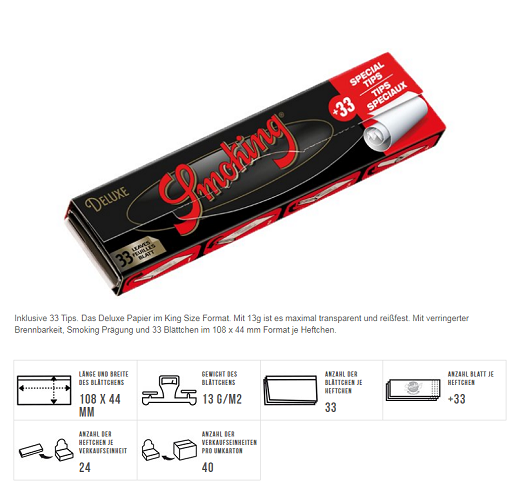 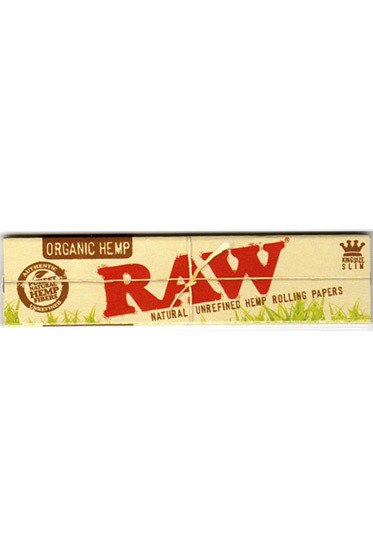 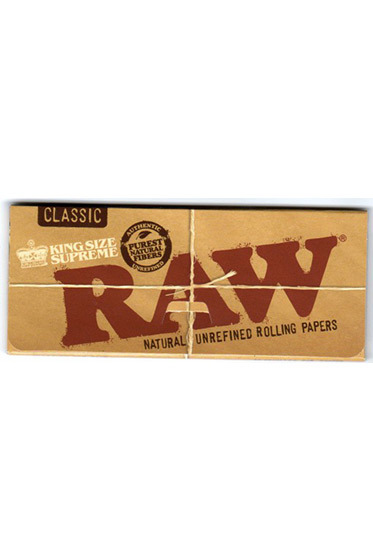 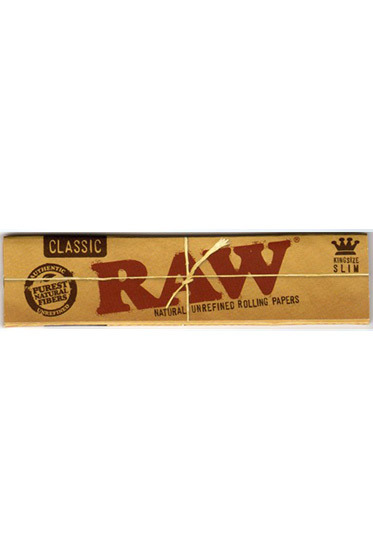 The deluxe paper in king size format. 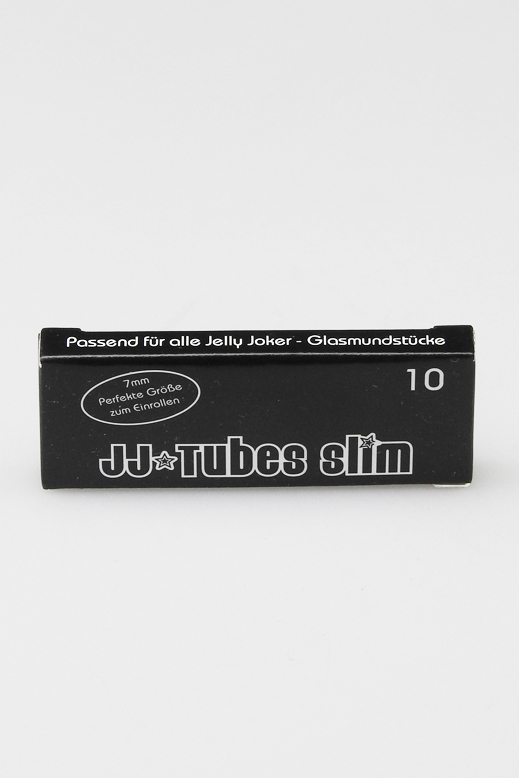 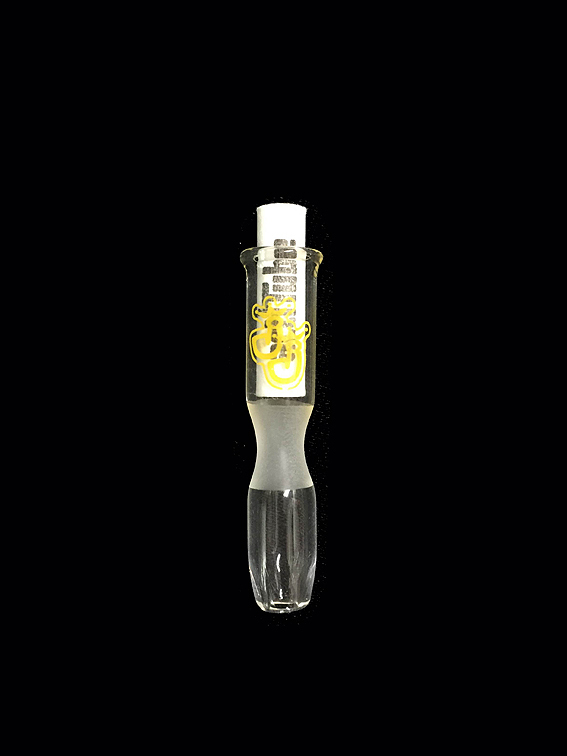 With 13g it is maximally transparent and tearproof. 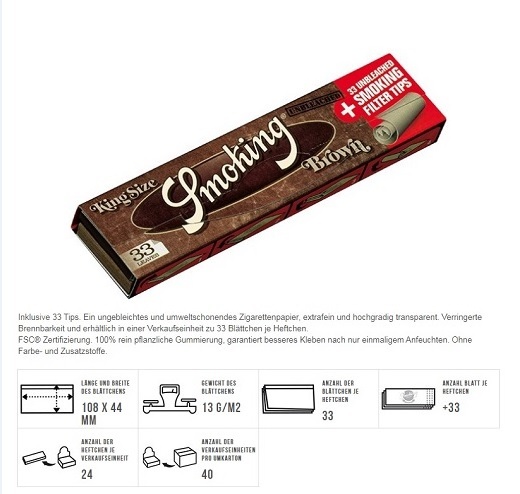 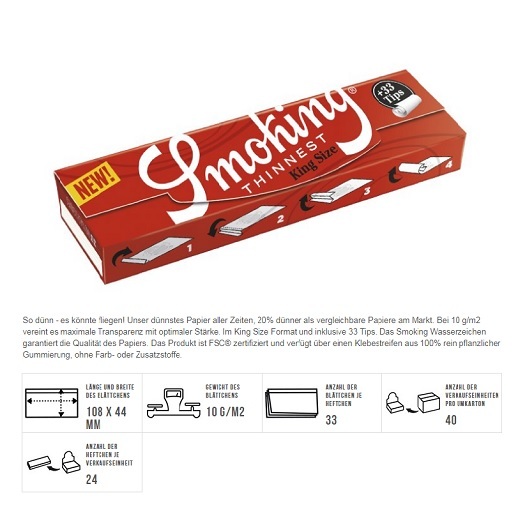 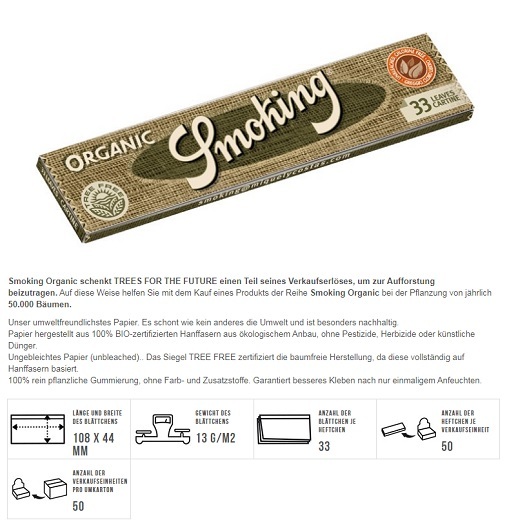 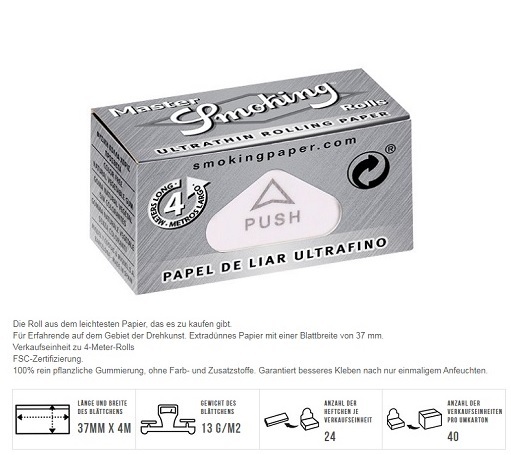 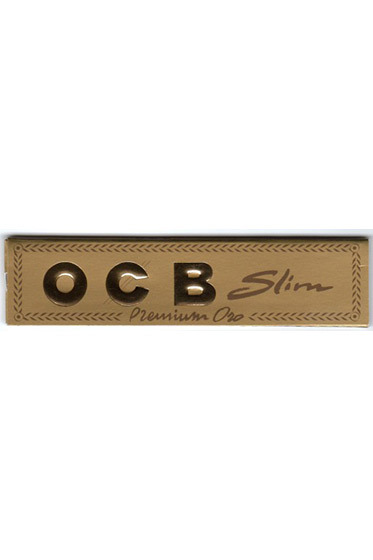 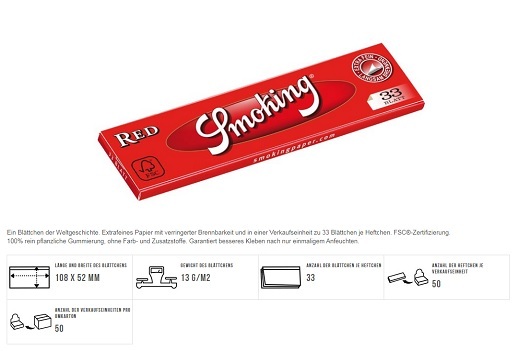 With reduced flammability, Smoking embossing and 33 leaflets in 108 x 44 mm format per booklet. 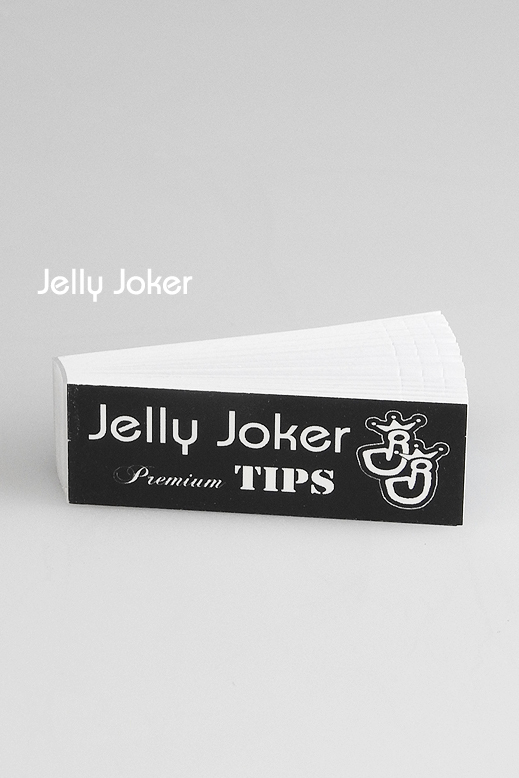 JJ-Papers, King Size Slim - 32 papers per Booklet.